Motul RBF 660 exceeds DOT 3 and DOT 4 specifications. 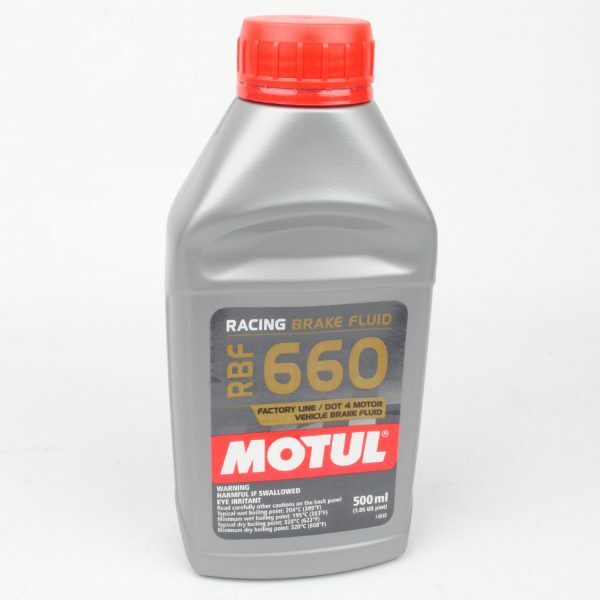 High wet and dry boiling points (dry boiling point even higher than Motul RBF 600) help prevent vapor lock and fade in the harshest environments. 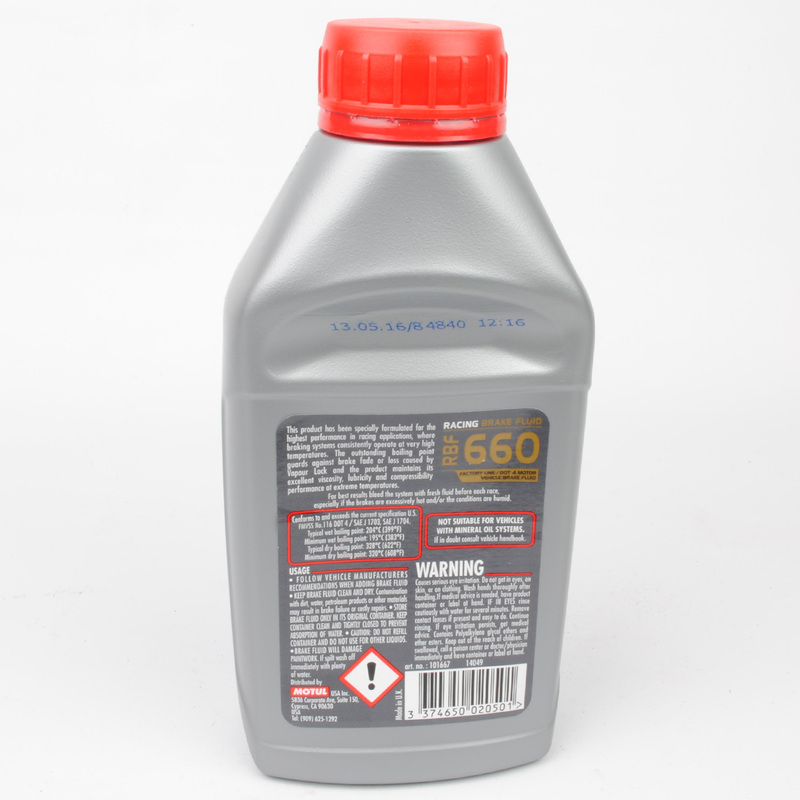 Bottles are filled with nitrogen to extend shelf life and eliminate contamination while factory sealed. Suitable for any vehicle requiring DOT 3 or DOT 4 fluid.